If you have been following along with my story, you know I moved into an apartment last January. I looked at several in the area I wanted to live, but fell in love with mine immediately. It’s interesting how you just know when it is a match. You walk from room to room and it just feels right. I was so enamored, in fact, I overlooked an important piece of information. My apartment has no dishwasher. Eeek! The last time I lived without a dishwasher was back in about 1979, I think. So long ago, I can’t even remember. Funny how we take things for granted. But what is really interesting is that I now have about 20 times too many dishes. I use one plate, bowl, fork, spoon and knife. Then I wash them and put them away. Boom. Done. But I have cupboards full of plates and bowls, and much more silverware. I have a whole shelf of coffee mugs and I use the same one every day. I chuckle every time I put something away, because I used to have enough to last me for a week, which was how often I ran the dishwasher. In fact, I even bought more teaspoons. I have a LOT of those. What I have discovered is that I really like doing the dishes. Pretty weird. Instant gratification, I guess. I used to loath emptying that dishwasher. Such a chore. But no more. I’m free. 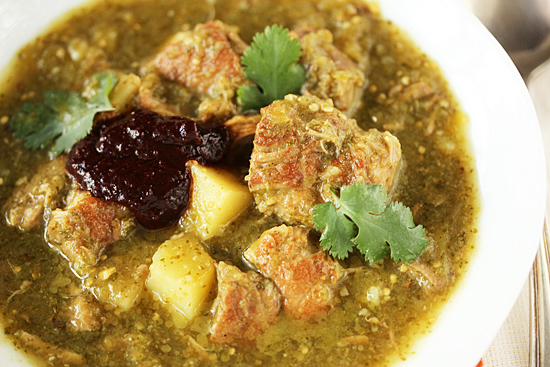 So, what does that have to do with Chile Verde with Pork & Ancho Chile Sauce? Absolutely nothing. Don’t bother trying to figure it out. This recipe has a green puree made of tomatillos, green onions, cilantro, garlic and chicken broth, part of which is added at the start of cooking, and part stirred in right before serving for a bright fresh flavoring. Is there anything better than cubes of pork that have been braised for a couple of hours until they are so soft they’re almost falling apart. Plus little cubes of yellow potato that have absorbed the flavor of the roasted diced Anaheim chiles. Served with warm corn tortillas and Mexican beer, you’ll be in hog heaven. You can also make this ancho chile sauce to dollop on top, which is flavored with garlic, honey and cinnamon. 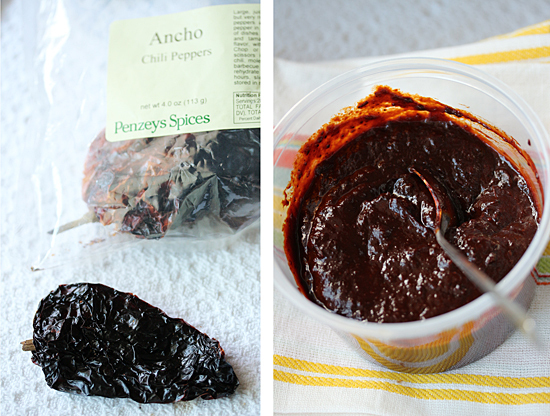 Ancho chiles are not hot, but sweet with deep chile funky flavor. 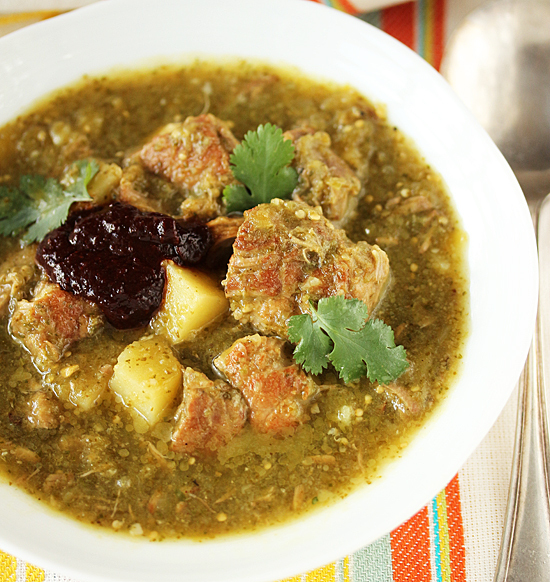 So whether you are eating your Chile Verde in a bowl or in a tortilla, his ancho chile sauce will take you all the way. Seriously. So yum. 1. Place all Tomatillo Sofrito ingredients in blender or processor and puree. Set aside. 1. Place Anaheim chiles on stove top burner grates over high flame until blackened all over. Turn with tongs to achieve even char. 2. Cool chiles on plate. Wrap each with paper towel, and use towel to remove and scrape off charred skin. Remove stem and slice lengthwise, discarding seeds. Cut into ½-inch dice and reserve. 3. Heat oil in large heavy pot or Dutch oven. Add about half of pork cubes to pot, brown all over and transfer to bowl. Brown remaining pork and add to bowl. Reserve. 4. Add diced onion to pot and cook until soft, about 5 minutes. Sprinkle with ground cumin and cook for additional 2 minutes. 5. Add remaining ¾ pound tomatillos and cook until softened and starting to brown, about 8 minutes. 6. Add browned pork and juices to pot, along with 2 cups reserved Tomatillo Sofrito, 1 cup chicken broth, diced Anaheim chiles and oregano. Bring to a boil. Cover, reduce heat to medium low and simmer until pork is tender, about 2 hours. 7. Remove from heat and let sit for 15 minutes uncovered. Skim fat from top of stew. 8. Return to boil and add diced potatoes. Cover, lower heat and simmer until potatoes are tender, about 20-30 minutes. 9. Stir in remaining Tomatillo Sofrito and bring back to simmer. Add salt to taste and black pepper. Serve topped with chopped cilantro and a spoonful of Ancho Chile Sauce. 1. Heat oil in a heavy non-stick skillet over medium heat. Add chile shards and fry until fragrant and beginning to turn light orange in places. Transfer to medium bowl. 2. In same skillet, sauté garlic slices over medium high heat until soft and starting to brown. Add 1 cup water and swirl in pan. 3. Add water and garlic to chile shards in bowl. Press chile into water to cover. Let sit for about 15 minutes or until chile is softened. 4. 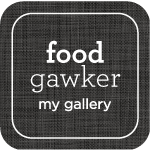 In a blender or processor, puree chiles, water, garlic, honey and cinnamon. Add salt to taste. I love your randomness! I can’t bare the thought of living without a dishwasher, but I am trying not to knock it before I try it. Praying I don’t have to try it. 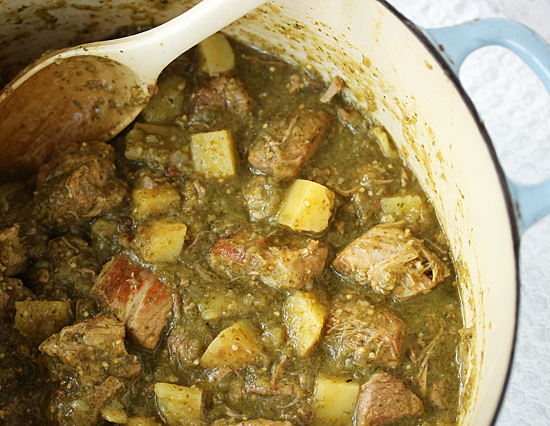 Only you could make Chile Verde with Pork look so GREAT. HA! I had to laugh when I read your dishwasher story. First let me say that I hope you are happy in your new home. I recall your having mentioned at one point that there were adjustments to make. In particular I recall reading that you could no longer play your piano when ever you wished, Isn’t it funny and wonderful how really loud a piano is! I hope you have your playing time straightened out, and I hope that you continue to derive great pleasure from playing. 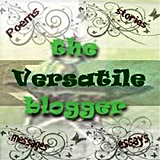 About the dishwasher – I grew up in the fifties and sixties when dishwashers were not in very home. We never had one. My mom thought they were inefficient machines (which surely the early ones were), and she had four kids to take care of business. When I was an adult and living on my own, I found it very hard to get used to having a dishwasher. Eventually I did, but now I once again am without one. We are preparing to remodel, and wouldn’t you know it, our dishwasher has just breathed its last, so we are waiting until the redo for a new one.) My, but you are so right about needing fewer dishes. It really is something. I actually find myself having to rotate the dishes as we use so few. Plus I find “doing the dishes” quite relaxing It is sort of a respite after eating, and I like the quiet time. I wash and dry, and my mind just sort of floats along. In fact, I wonder if I will ever make as much use of my new one as I did of my old one. Your chili sounds fab, full of wonderful flavor. It looks so appetizing. I will have to try it. Wow, that looks truly amazing and authentic! Do you know that I haven’t had a dishwasher since I left home at 18 yrs old? I don’t know why, but every place I’ve lived just didn’t have one, so I don’t even know what I’m missing! And I have too many dishes in my cupboard too that I don’t even use. I just observed that the other day, but it’s hard to get rid of things you haven’t used in 15 years in case you want to use it tomorrow.